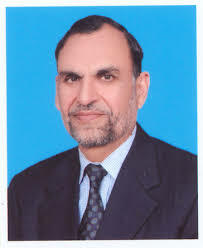 ISLAMABAD, Oct 23 (APP):Federal Minister for Science and Technology, Azam Khan Swati Tuesday said the present government would provide sufficient funds for both private and government sectors to promote the pharmaceutical research culture in the country. He was addressing a two-day international conference on “Medicinal Chemistry and Drug Discovery”. He urged Pakistani scientists to develop mutual research projects with local industry and use the expertise of their foreigner partners to stimulate Research and Development in Pakistan. The international conference was organized by Quaid-i-Azam University (QAU) in collaboration with Royal Society of Chemistry (RSC), COMSTECH Islamabad, Abdul Wali Khan University, Mardan, University of Punjab, Lahore and Woman University, Swabi. “Our country is attaching immense importance to research and development which is reflected by allocation of Rs 52.997 Billion in budget 2018-19, which is more 53% than the previous year”, said the minister. Earlier the chief organizer of the conference Prof. Dr. Bushra Mirza, from QAU welcomed all the distinguished guests from UK, OIC countries, Germany and Pakistan. She said that the conference has been organized for providing an opportunity to our scientists at local level to interact on the themes under discussion and to solve the health related issues. Sir John Holman, former president of Royal Society of Chemistry (RSC), United Kingdom said that chemical sciences have the potential to provide innovative solutions to the world’s greatest challenges in healthcare, agriculture, nutrition, food production, environment, clean water, and medicine. Prof. Dr. Gul Majid Khan, Chairman Department of Pharmacy, QAU, lauded the organizers and said that this is the first of its kind activity to discuss medicinal chemistry and drug discovery in Pakistan. Advisor of the COMSTECH, Dr Khurshid Hasnain, Vice Chancellors of the AWKU Mardan Prof. Dr. Khurshid Khan and Vice Chancellor of Woman University Swabi Prof. Dr. Khanzadi Fatima also addressed the conference. It was a global conference as speakers from different countries but similar research background presented their talks. Out of the total thirty-eight speakers, fourteen speakers were from UK, including eight from Oxford University, UK. Twelve speakers were from OIC countries including Algeria, Turkey, Indonesia, Malaysia, Palestine, Egypt and one speaker from Germany while eleven speakers from various Universities of Pakistan. It was unanimously resolved that more frequent meetings in the form of conferences and workshops must be arranged to highlight medicinal chemistry and drug discovery and to build strong collaboration among scientists, industry experts and drug regulation authority personals.